I didn’t know if we really liked each other or if it was just our weird creative natures combined with the thrill of competition creating these intense situations. We had heat and chemistry, but so did most nuclear reactors, and I tired to stay away from those whenever possible. Sadie Hutchins was more or less guaranteed a promotion at her beloved tourism bureau in Kentucky. But when hotshot Josh Vaughn shows up and is considered a lead candidate, all bets are off. Their bosses make a deal that whoever puts on the best exhibition for the Kentucky State Fair in a winner-take-all competition, and things start to get ugly before the two of them call a sort of truce. It doesn’t help that Josh is super hot. And Sadie is super smart and passionate about her job. Though the two of them are drawn toward each other romantically, their professional lives keep getting between the sparks. 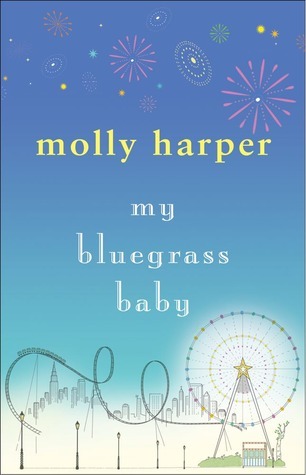 I really, really enjoy Molly Harper’s contemporary, stand-alone books. 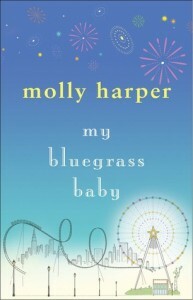 This was a funny and romantic story that was reminiscent of Parks & Recreation at times. The pranks Sadie & Josh pull on each other are hysterical, as are their exchanges. What really makes the story pay off, though, is the character growth. Sadie & Josh really come a long way from their starting points in the novel, and it’s fun to watch. I really enjoyed this tale. Can’t wait to read more of her work!